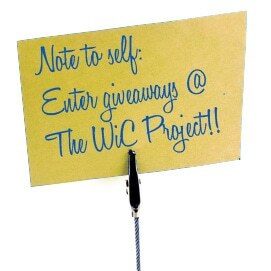 It’s our first giveaway reminder of 2013 – Happy New Year! We’re finishing up some giveaways from our 2012 holiday gift guide and are gearing up for some more giveaways as well. Good luck! 7 Day Free Gym Membership Pass for 24Hour Fitness. Complete a survey and get $75 Worth of Coupons and a chance to win a $1,500 Shopping Spree @ rachaelray.com! You always have so many different kinds of great giveaways. I love your site and the newish rafflecoter too.